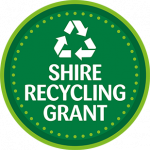 The SHIRE Recycling Grant programme for 2019-20 is now OPEN. Leicestershire County Council is committed to minimising the amount of waste that is thrown away. In order to help achieve this, the Council is offering up to £3,000 in the form of SHIRE Recycling Grants. These grants will be available for eligible community based organisations to deliver local waste prevention, recycling and composting projects and activities. Reduce household waste, divert waste from disposal and optimise levels of recycling and composting in a cost effective way. Reduce the amount of waste produced in Leicestershire by waste reduction, reuse and recycling and encouraging resourcefulness through repairing, refurbishing, repurposing, sharing, swapping and composting. Enable residents and communities to get involved in waste related initiatives and support permanent changes in individual behaviours. Before completing the Application Form, please read the Guidance Notes below carefully. The Guidance Notes contain important details about the criteria for funding, along with the Council's process for awarding funds. The application for the SHIRE Recycling Grant needs to be completed using the Application Form.